The MPO / MTP harness cable assemblies, is deployed inside plug and play cassette modules. 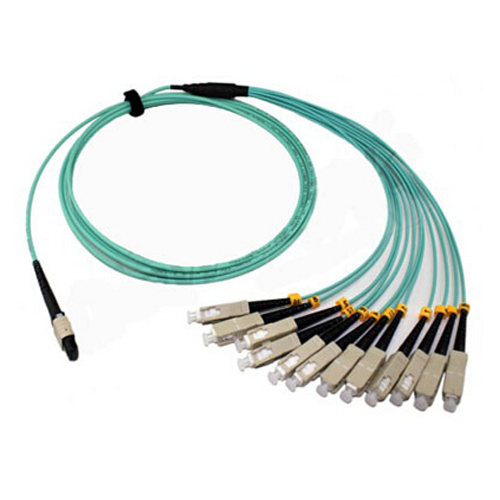 This solution is a 12-colored 0.9mm cable utilizing a MPO / MTP connector on one end and generic connectors (such as LC, SC, FC, etc.) on the other end. They are available for purchase as a bundle with Wiitek's plug and play modules, MPO / MTP Adapter Plates, and other solutions. Available in 8/12/24 fibers versions as well as Multi-mode (Standard 50/125, 62.5/125, BI 10Gig 50/125) and Single-mode fiber types. For installing inside plug and play fiber cassette module.